The Kibbutz Contemporary Dance Company and the Israeli dance community will gather on Sunday, October 20, 2013 at Kibbutz Gaaton to honor the late Yehudit Arnon. 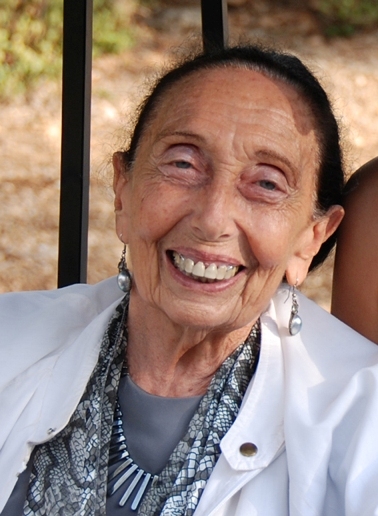 Yehudit Arnon, founder of the Kibbutz Contemporary Dance Company and Israel Prize recipient, passed away in August 2013. On this night, the KCDC Performance Center at Kibbutz Gaaton, the company’s home, will be dedicated to Yehudit Arnon, in a festive unveiling of the plaque with her name at the building’s entrance. Arnon’s memory is cherished by many who will take part in this evening: dancers, dance companies and independent creators in the field of dance. Rami Be’er, director of the KCDC, is the artistic director for this tribute evening, which will include dance selections by those whose knew Arnon, were taught and influenced by her, and preserve her memory. In addition to dance performances, scenes from an interview filmed with Arnon 8 years ago will be shown publicly for the first time. Among those participating in the tribute will be: Yair Vardi, Director of the Suzanne Dellal Centre; Adi Sha’al and Noa Wertheim – Vertigo Dance Company; The Batsheva Dance Company; and The Israel Ballet. Yehudit Arnon was born in 1926 in Komárno, Czechoslovakia, and in June 1944 was sent to Auschwitz. Currently on view at the Center for Contemporary Art (CCA) in Tel Aviv is a film by the artist Ori Gersht, Will You Dance For Me? As reviewed by Angela Levine: the film relates to a traumatic event that remains etched in the memory of Yehudit Arnon, a prisoner in Auschwitz, who was forced to stand barefooted in the snow for a whole night for refusing to dance for a Nazi officer. At the time, she vowed that if she survived she would dedicate her life to dance. This she did, founding the Kibbutz Contemporary Dance Company which attracted international attention (the exhibition in Tel Aviv will remain open through November 6th, read the full article here). A Tribute to Yehudit Arnon, Kibbutz Ga’aton, October 20, 2013 at 17:30. I’m certain this will be a very memorable evening, as was she, with special representation showing their admiration for this talented and gifted lady.